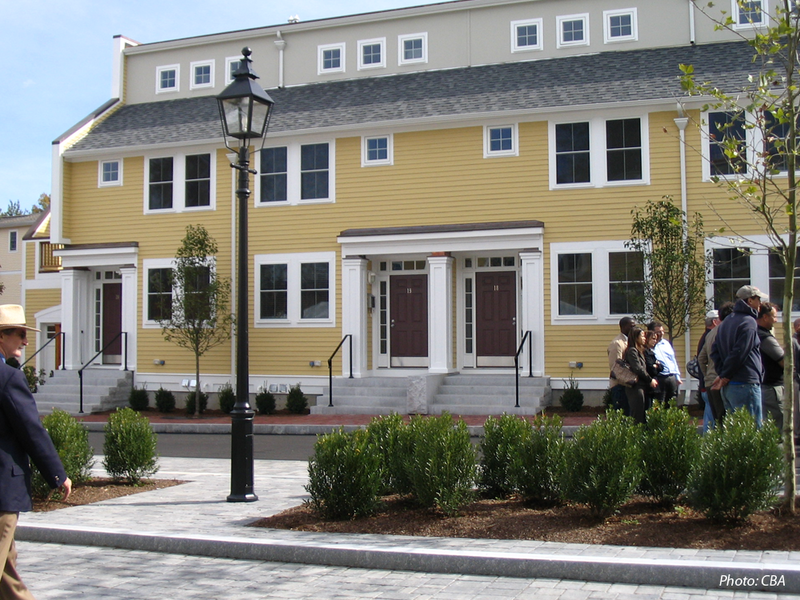 is landscaped with shade trees, shrubs, decorative streetlights and bike racks. Each unit has granite entry steps and a rear patio and garden. 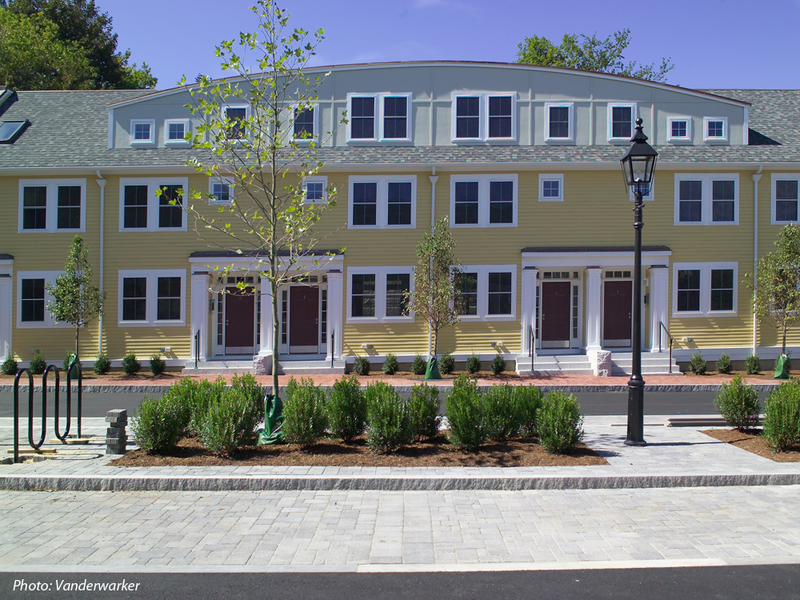 Brick sidewalks, granite curbs, and cobblestone parking areas help integrate the new development with its historic surroundings.